Play to your strengths. 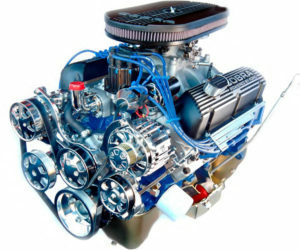 And if you’re Chrysler’s in-house performance brand Mopar, that means building big stinking powerful V8 engines for use in full-bodied domestic cars. Getting back to basics, Mopar established itself in muscle car/pony car market in recent years by building high-horsepower HEMI engines. 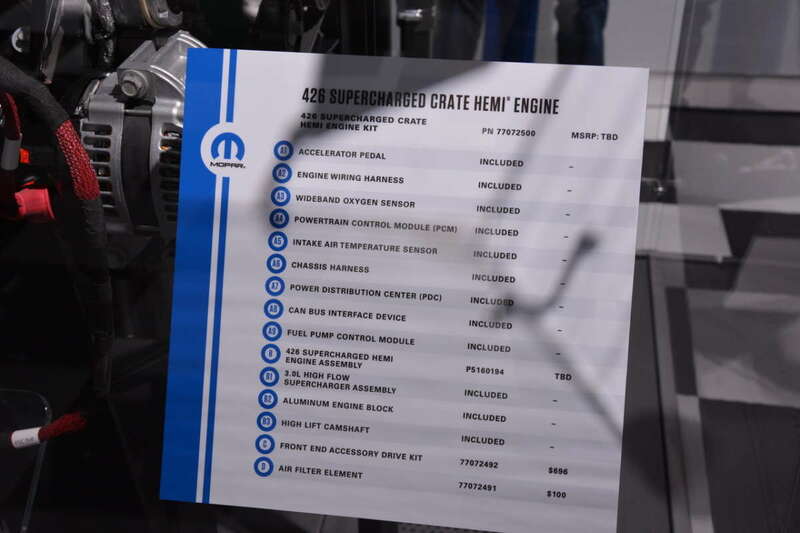 But building big power these days pretty much requires some sort of forced induction, and Mopar has really been on a roll since adding a factory-equipped supercharger to the HEMI back in 2015, creating the now-sensational Hellcat engine. 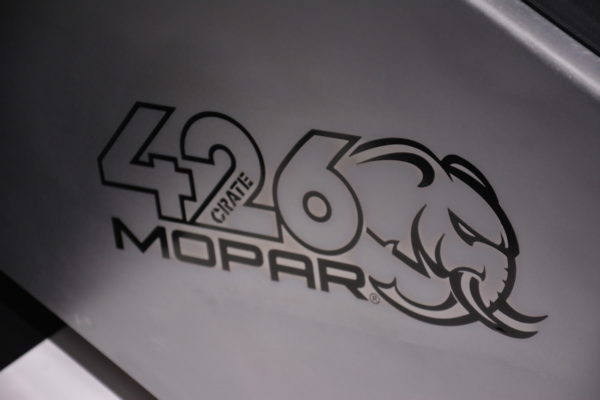 The 6.2-liter Hellcat engine put down a massive 707 hp and 650 lb-ft. Mopar was back in the headlines in 2017 with an even hotter version of the 6.2, which produces up to 840 hp on 100-octane fuel in the Dodge Demon. But if you’re a Mopar nut, there’s one displacement that stands above the rest, and the new Mopar Hellephant crate engine answers with 426 supercharged cubic inches. 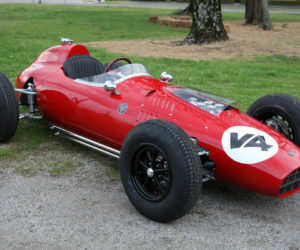 The Hellephant moniker is actually a blend of two previous Mopar themes at work here. One, being the original 426 HEMI’s nickname, “the elephant engine,” and second being the modern Hellcat supercharged HEMI. The original elephant engine’s size and rated output was groundbreaking in its day, at 425 hp and 490 lb-ft, and the new 426 doesn’t disappoint. 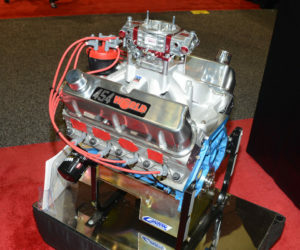 Producing 1,000 hp and 950 lb-ft, the new 426-ci Hellephant becomes the first 1,000-hp crate engine to be offered by an OEM. 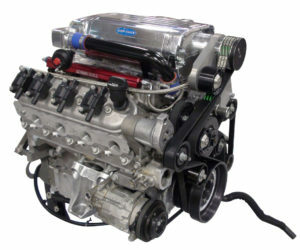 It would be easy enough for Dodge to tout its new 426-ci mill in its hottest race cars alone, but the company is actually offering the engine as legit crate with accessories and an installation kit. Mopar’s front accessory drive kit includes an alternator, power-steering pump, belts and pulleys. The installation kit includes a powertrain control module (PCM), power distribution center, chassis and engine wiring harnesses, accelerator pedal, sensors and a CANbus interface. 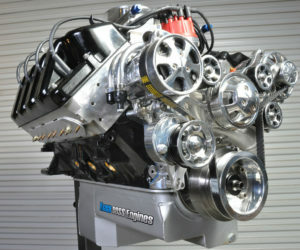 The unlocked PCM is set to deliver 1,000 hp and 950 lb-ft as delivered. 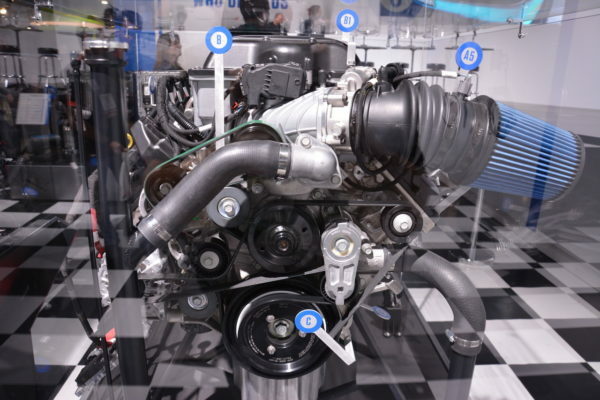 In a press release, Mopar noted that installing the new engine and its installation kit should be a relatively plug-and-play procedure for experienced installers. Inside the Dodge booth at SEMA, the Hellephant was debuted inside a stretched, reimagined 1968 Dodge Charger. 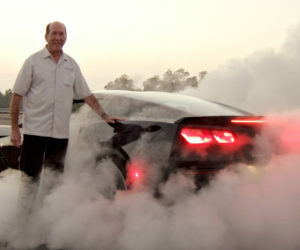 The wide-body Charger was fit with the new 1,000 hp Hellephant engine and the TREMEC-built T6060 six-speed manual. Dubbed the "1968 Dodge "Super Charger concept," the car borrows heavily from Dodge's current line of SRT-badged cars.